French President Emmanuel Macron launched an unprecedented "great debate" (Le grand débat) in France on Tuesday to gather public opinion concerning a future road map for the country. The ongoing debate will touch on four major areas: tax reform, public services, green policies, and democracy and citizenship. For the next three months, French people can attend town hall-style meetings around the country or send in their proposals through the internet. In a letter to the French people released on Sunday, Macron explained why he launched the national debate. "This is how I intend to transform, along with you, anger into solutions," he said, referring to the gilets jaunes (yellow vests) unrest which has taken place in France since November. Macron put forward 35 topics in the letter for public debate, such as what taxes should be reduced and what public services the public considers redundant. The French president participated in the first debate on Tuesday with mayors from the Normandy region in northwest France. Within a month after the national debate ends, Macron will report to the French people his conclusions and what he is going to do by forming "a new contract with the nation." The great debate, the first-ever in France, is Macron's latest effort to quell the anger of the nationwide yellow vest protests that are calling for pay equality for all and more participation in the government's decision-making process. The yellow vests protests is the biggest crisis the Macron administration has faced. Although he announced 10 billon euros ($11.4 billion) in pay raises and tax cuts for the disadvantaged in December 2018, the protests have shown no sign of easing. Macron's new initiative, however, was met with skepticism by opposition leaders and yellow vest protestors. They said that Macron is using the debate as a smokescreen so he can continue with his programs. Although Macron said in the letter that no subject would be off the table during the debate (sans tabou), he is not going to renege on policies already put in place: "We will not go back on the steps we have already taken… to encourage investment and make work pay." Critics cite his refusal to restore the ISF, a tax on households with assets above 1.3 million euros ($1.5 million), as proof that he is not sincere in listening to the people. The yellow vests want the rich to pay more tax, not less. 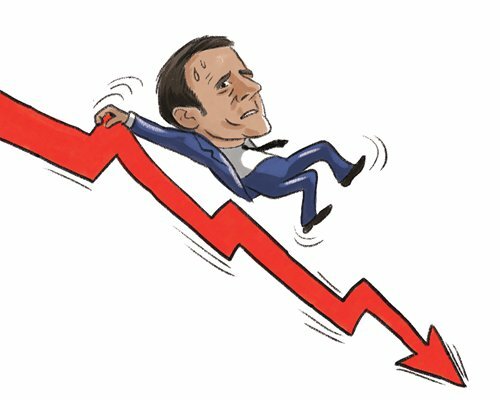 Canceling the ISF at the start of his term was seen as a big misstep for Macron. Since then, he has built up an image as a president for the rich who doesn't understand the difficulties of the poor. A middle-class Frenchman who I talked to recently said, clearly, the debate is merely a diversion that Macron is using to get protestors off the street and get them talking instead. Many of his friends share the same view. He thinks the debate is mainly pointless. "Macron can say, 'I hear your opinion,' and then still go forward with his original programs," he said. Also, some people may propose some radical ideas and try to reintroduce scrapped policies, such as the death penalty, which would divert the focus of the debate, he said. The youngest president in France, Macron was elected in 2017 on the promise of creating a better life for the French people, but his popularity plummeted from 62 percent at the start of his term to only about 25 percent by the end of November 2017. Therefore he urgently needs something to get people's attention away from the protests and put his mandate back on track. With only three years to go until the end of his term, there will be no time to waste to continue with reforms, especially if he has re-election on the agenda. But the French people are not too enthusiastic about the debate, as a poll released on Tuesday showed only 40 percent said they would participate, and close to 70 percent don't think it will end the yellow vest protests, which were well into their 10th week as of Saturday. Although whether the national debate will be constructive or not remains to be seen, Macron already sparked new outrage on Tuesday when he said in Normandy that his administration was going to "help people in difficult situations take responsibility for themselves. Some make efforts, and some act stupid."